Alex studied violin and piano at the Guildhall School of Music and Drama in London, before going on to read music at Goldsmiths College, University of London and specialising in composition. Alex composes extensively for dance, drama and film, and is an associate artist with Theatre Re; currently working on the company’s new production Birth, which is Alex's fifth commission with the company and premiered at the London International Mime Festival in January 2019. The previous piece, The Nature of Forgetting, also premiered at the Mime Festival in January 2017 and was selected to be part of the British Council Edinburgh Showcase in August 2017. Since then, this piece has toured to South America and North America in 2018 and South Korea, Hong Kong, New York City and Taiwan in 2019 . 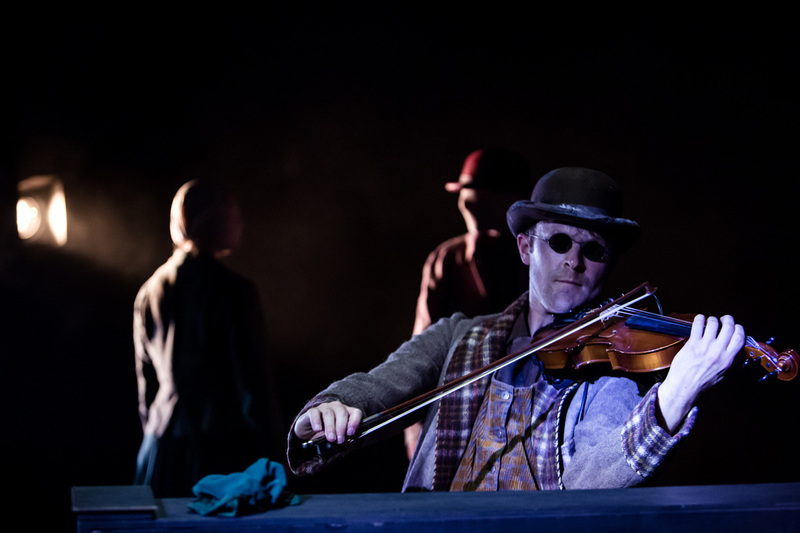 Alex's third commission with Theatre Re, Blind Man's Song, premiered at the 2015 London International Mime Festival and was also selected for the Latitude Festival and Edinburgh Fringe Festival in the same year, before touring the UK and Europe in 2016. Alex also composed and performed for the company’s previous two productions The Little Soldiers and The Gambler, both of which were selected for the Edinburgh Fringe and toured throughout the UK at venues including the Roundhouse, Jackson’s Lane, South Hill Park, the Greenwich Theatre and the Brighton Fringe Festival. Alex received an 'Off West End' Best Sound Design award nomination for The Little Soldiers in 2013. Other recent composition credits include music for pieces performed at the Elixir Festival (Sadlers Wells), Resolution! Festival (The Place), the International Festival of Dance in Poland and the European Cultural Congress, along with commissions from a diverse range of sources such as the Roundhouse Choir, Fourth Monkey, Middlesex University, production companies Wise Buddah, Duck Duck Moose and Sons, Floodwater Films and author/speaker Mindy Gibbins-Klein. As an experienced session musician Alex has worked with many artists in the recording studio, live on stage and on TV/radio. Alex is currently writing the debut album for jazz trio Future Gold and is the keys session player for Bastien Keb. Prior to this, Alex played keyboards for Bright Light Bright Light whom he performed with at SXSW, Bestival, Festival No. 6, British Summer Time Festival, ITV's 'Weekend' programme, BBC Radio 1's 'live session' and on a UK/European tour supporting Elton John in 2014/15. Alex has previously sessioned for the Noisettes and also worked with Glass Pear as a keyboard player, violinist and guitarist. Glass Pear had songs featured on TV shows Grey’s Anatomy, 90210, Bones, Vampire Diaries and One Tree Hill, which led to a North American tour in 2009 and a live session on Baltimore KCRW radio station. Alex also currently performs with award-winning improvised comedy group Austentatious, as an accompanying violinist. Alex joined the group in 2014 and has toured nationally with them every year since, performing at events such as the Bath Literature Festival (Bath Forum) and Udderbelly Festival (Southbank Centre). The group currently perform weekly in the West End at the Fortune Theatre. Alex also works in the Middlesex University dance department as an accompanist and recently judged a contemporary music category for The Big Music Project.